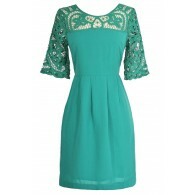 This sparkling embellished designer dress is both girly and sophisticated at the same time. This would make a cute bridesmaid dress, a cute party dress, or even a pretty prom dress. The This Magic Moment Embellished Designer Dress is fully lined. It has a sweetheart neckline, lightly padded bust, and adjustable and removable spaghetti straps so that you can decide whether you want to wear it strapless or not. The top part of the dress is made of pleated chiffon and has a unique design with two rows of sparkling seed beads. The attached skirt has a flowy cut and an invisible layer of tulle underneath for a bit of volume. A hidden back zipper completes this dress. The This Magic Moment Embellished Designer Dress would look nice paired with pumps or strappy metallic heels and some delicate jewelry. Details: Fully lined. Lightly padded bust. Hidden back zipper. Adjustable and removable spaghetti straps included. 100% polyester. Lining: 95% polyester, 5% spandex. Mesh: 100% polyester. Dry clean only. Small measurements: Length from top of bust to hemline: 28". Bust: 32". You have added This Magic Moment Embellished Designer Dress in Pale Pink into Wishlist. 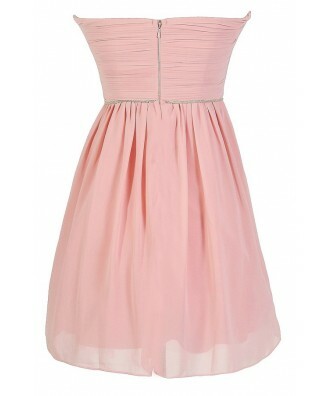 You have added This Magic Moment Embellished Designer Dress in Pale Pink for Stock Notification. 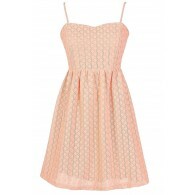 You have set This Magic Moment Embellished Designer Dress in Pale Pink as a loved product. You have removed This Magic Moment Embellished Designer Dress in Pale Pink as a loved product.